After you meet your miracle connect your little one with the cognitive and social benefits of music and movement at Valley Little Melodies. Even before your miracle is born, he or she is listening and research shows, that’s a good thing. Mixing music and movement can be an important part of learning your child’s whole life. But engaging them soon after birth and through the early first years offers many benefits. Knowledge of the cognitive, social and bonding benefits to exposing children to music and movement from the earliest age is what drove Cara Vernal to leave her job as a third grade teacher and open up Valley Little Melodies in Canfield. 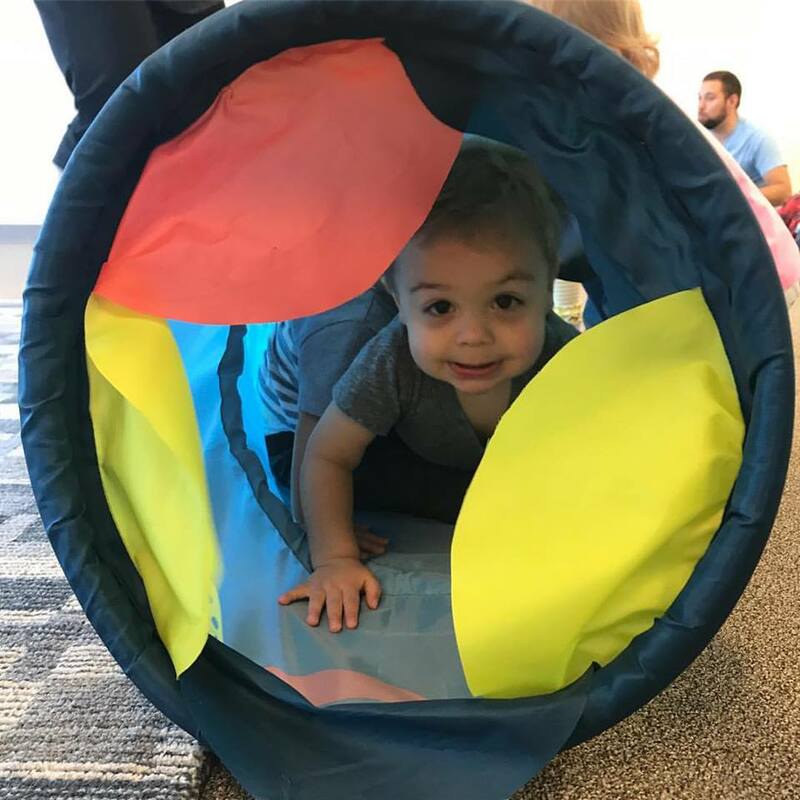 Pregnant with her toddler Ella, Cara knew the Mahoning Valley didn’t have anything like the program she offers now from her 4358 Boardman-Canfield Road studio. 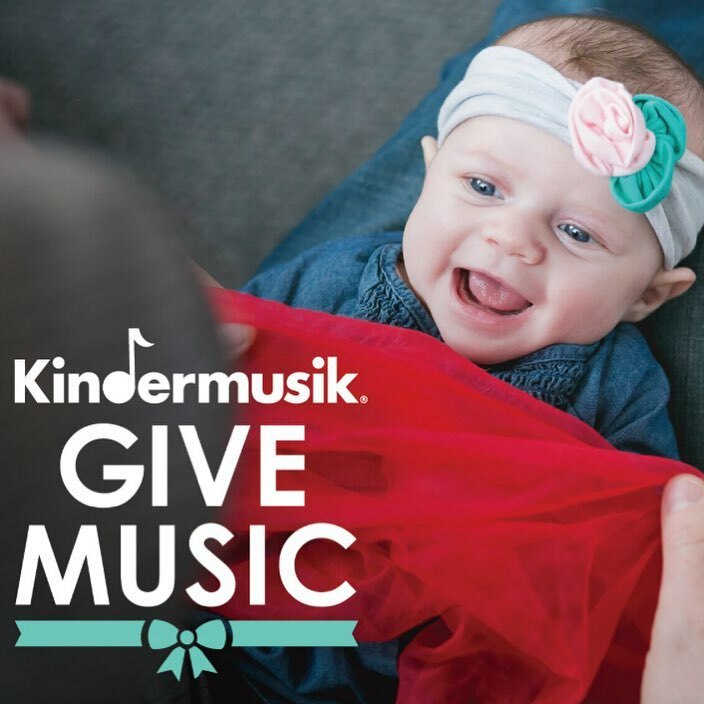 The studio uses the Kindermusik curriculum, developed in 1978 in Germany based on child development theories. “This is a really amazing way to for kids to bond with their caregivers, it’s not just mom or dad, but grandparents, aunts, uncles, nannies. The kids are learning in a loving environment where they can find comfort with their mom, dad or whoever brought them. That level of comfort, combined with the curriculum allows the child to engage more, because they feel that love and safety,” Cara said. Babies as young as six weeks old can attend the class and benefit from the interactive experience. Caregivers stay with the kids they bring, and even find social opportunities themselves, Cara said. The most popular age group at the studio is toddlers 1 to 2. Cara recommends you sign up early for classes in that age group. And once you get started, the always evolving routines and daily activities will keep your child coming back for more. Even shy kids eventually come out of their shells, comforted with the routine. Even though the themes and activities change, every session begins and ends the same way and includes a relaxation period. “We have the same hello and goodbye song ritual, so they feel safe, they know what is coming,” Cara said. Every four to five weeks Cara changes up the themed unit, focusing on subjects like food or animals. Each week of the unit builds on the week before. The schedule allows kids to bond with each over the course of the unit and learn together. “And it helps build neural pathways in the brain, because they might hear a song they recognize from before, but notice they are doing a different activity to the song. Each session is about 45 minutes long with 12 to 14 different activities. Cara has instruments for the children and all sorts of surprises. Visit www.kindermusik.com/studio/56354/ for session times, class availability and more information about the value of the Kindermusik program. Reach the studio at 330-980-5198.